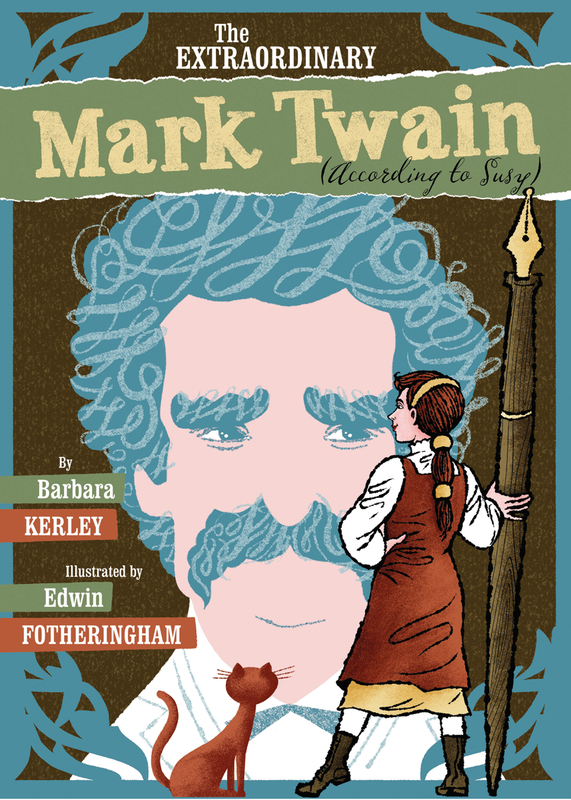 Susy, Twain’s daughter, dedicated a fair amount of words to her dad’s animal-loving nature in the secret biography she undertook about her father; at least that’s what the reader gleans in author Barbara Kerley’s selective re-telling in The Extraordinary Mark Twain. In the book, there are two narratives: (1) Kerley’s presentation of Susy’s journey in writing her biography and (2) selected entries from Susy’s journal/biography which are scattered throughout the text and printed in old script – spelling errors and all – showing the true nature of her father’s life, work and personality. Susy’s entries are included in the text as mini pages, a fun and different visual and literary element. 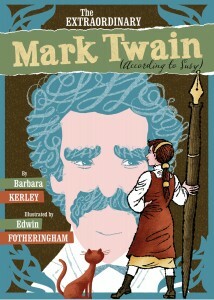 An intriguing read for any Mark Twain fan or student needing inspiration to write a biography. Illustrator Edwin Fotheringham’s fanciful Victorian drawings are icing on this literary cake.